Could your fingers or toes use a little tender loving care? Are you overdue from some pampering? 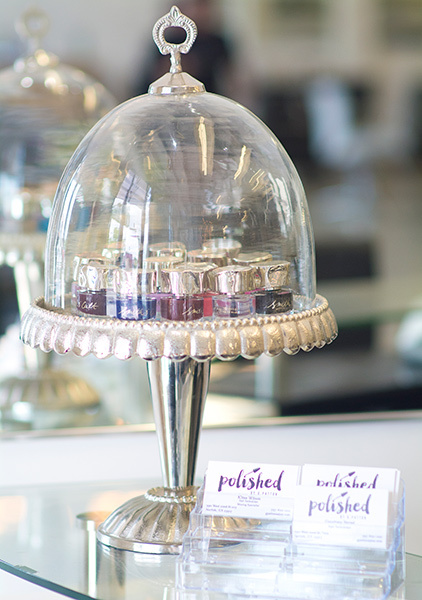 Polished at G Patton Salon is Norfolk, VA’s premier destination for quality nail care. 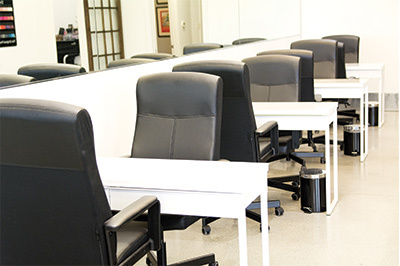 At Polished, located within G Patton Salon, we are proud to have built a reputation for having the area’s premier talent. In every service we provide, we strive to earn the trust, satisfaction, and loyalty of our valued clientele. Our stylish, clean, and comfortable spa environment will make you feel instantly welcomed and cared for; and our professional nail technicians consistently produce beautiful results. Offering a comprehensive range of nail care services, we make it easy to keep your fingers and toes looking their absolute best. Enjoy the pampering and beautiful results you deserve. Stop in today or give us a call and get ready to experience the perfect mani-pedi and Norfolk, VA’s best service. There’s nothing like a manicure or nail treatment to help you look put-together and polished. If you’re looking for a nail salon in Norfolk, VA, come to Polished by G Patton Salon. We offer a variety of products and treatments designed to help your hands and nails look their best. Don’t settle for dull, uneven nails. Let Polished by G Patton Salon care for your nails so that you can be proud of the way they look. Whether you’re gearing up for a wedding or gala or simply want to show up to work with beautifully sculpted nails, we remain at your service and ready to show off our impressive treatments and techniques. Your nails will never have looked better! Enjoy a relaxing hand and arm massage, detailed cuticle care, buffing and moisturizing treatment, and Smith and Colt polish. All the services of our classic manicure with a classic French tip polish. Treat your hands to a little extra pampering with the Polished manicure. This includes a parrafin treatment that exfoliates your hands and leaves them moisturized and feeling refreshed! This one’s for the guys! Enjoy a relaxing hand and arm massage, and then have your nal taken care of without the polish. Enjoy this relaxing pedicure! Trim and shape your nails, detailed cuticle care, buffing, calluses removed, exfoliating feet, leg rub massage, and of course, Smith and Colt polish. All the benefits of our classic pedicure with a classic French tip polish. All the perks of a pedicure with a 30 minute reflexology treatment. This one’s for the guys! Enjoy a relaxing foot and leg massage, exfoliation, callus removal, and paraffin treatment without the polish.